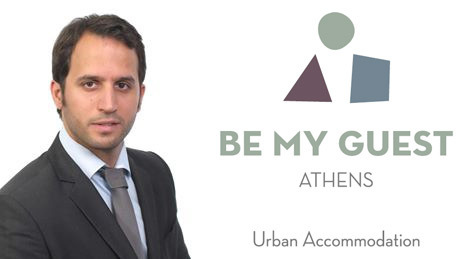 Armed with a master's degree from Wittenborg and tons of experience in the hotel industry, Wittenborg alumnus Nikos Anthrakidis recently opened his own boutique hotel Be My Guest in the heart of Athens’ historic centre. Formerly he worked for big companies like Booking.com in Amsterdam where he was a customer service executive, Expedia in Greece as property assistant coordinator, the Citizen M international hotel chain, as well as various other boutique hotels. Not bad for a guy who once dreamed of opening a gym! Nikos was one of the first graduates of Wittenborg University of Applied Sciences MSc programmes offered jointly with the University of Brighton in the UK. It was actually while doing his Master of Science (MSc) in International Hospitality Management at Wittenborg in 2013 that he hit upon the idea of opening his own hotel. 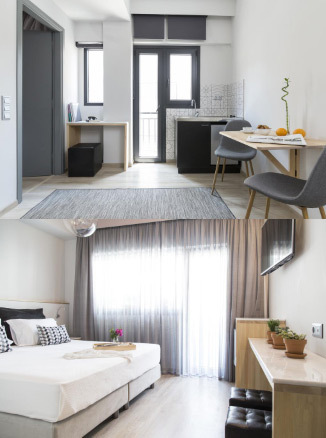 In February 2017, he quit his job at Expedia and started on his dream-project: renovating an office building in Athens, Greece, into a chic city boutique hotel. It opened on 17 July, fully booked for a week by a group of international law students. 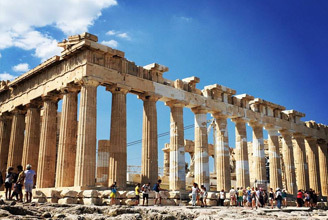 To open a hotel in Greece you need patience! He is upfront about whether it is such a great idea to start any business in Greece right now, given its recent economic woes. 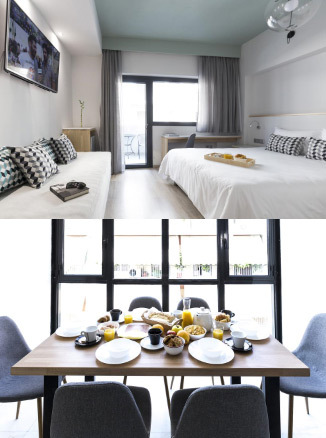 “I decided to open a boutique hotel as I like design, quality, giving great hospitality to guests and providing world class customer service. I have also worked for boutique hotels and the most important thing for me was to leave the guests with the memory of their stay, the service they got and the feeling to come back again. *The Be My Guest website is still under construction and will soon be online. However, the hotel is running full occupancy cooperating with Booking.com, Expedia, Airbnb, etc.